One of Nairn's glorious beaches. Community leaders are to host an emergency summit aimed at cleaning up the reputation of a Highland town’s two popular beaches. 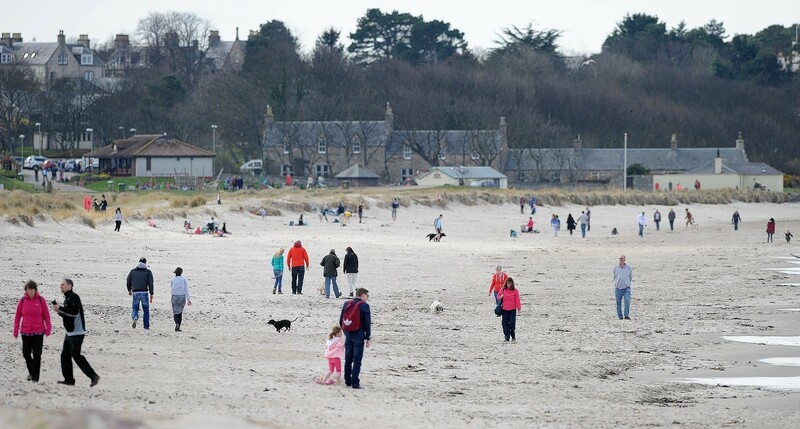 Alarm bells rang last week after the agency issued water quality notices for Nairn’s former award-winning central and east beaches. Representatives of Nairn businesses, its three community councils and local tourism organisations hope to thrash out solutions with Highland Council, Scottish Water and the Scottish Environment Protection Agency at a meeting next week. The issue was discussed in a private meeting with council leader Margaret Davidson, Lorraine Thompson of the Nairn Residents Concern Group and Nairnshire area committee leader Michael Green on Thursday. Councillor Davidson has highlighted the need for “swift action” to eradicate the problem. She said: “We’re seeking clarification on Sepa’s advice and will be looking for urgent action to address any issues which could potentially have an impact on the economy of the Nairn area. The meeting estbalished that “short term remedial action” was essential. The council, water authority, Sepa and range of local business organisations have pledged to work together to develop a long term strategy. Councillor Green said: “This is the most serious challenge Nairn has faced since I was elected in 2012 and needs to be addressed with the utmost vigour and urgency. “In my committee role, I’ll be working as a catalyst to bring together the various organisations.